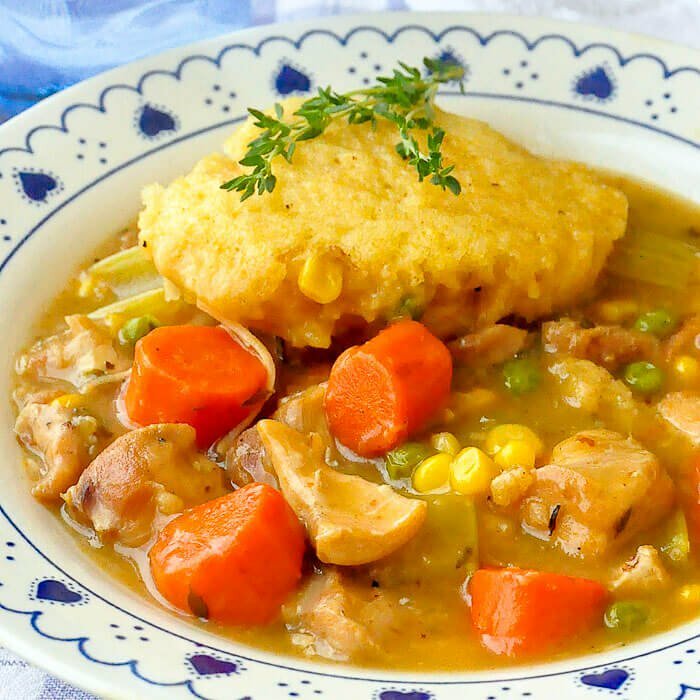 Successfully saved Sage Thyme Chicken Stew with Cornbread Dumplings to your Calendar. You can also save the ingredients to your Grocery List. An easy to make chicken stew that's ready in only about 2 hours with fresh herb flavours to enhance the rich gravy. The cornbread dumplings are the perfect addition to this satisfying comfort food meal.